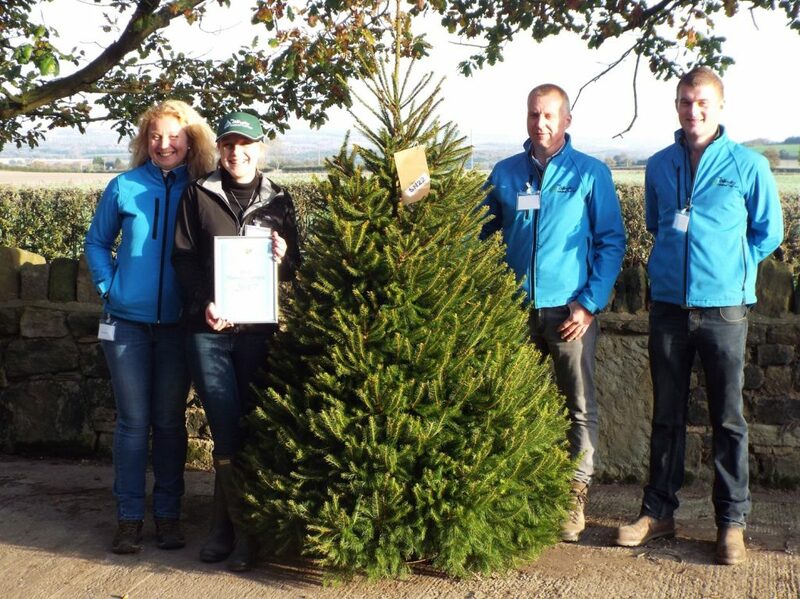 On 17 October we attended the British Christmas Tree Growers Association annual competition day, which this year was held in Wakefield. We are very proud to announce that we were successful and won the award for the ‘Best Norway Spruce Grower 2017’ with this beautiful tree. A great representation of the variety and how it should look. Since our first plantings of Christmas Trees 15 years ago, Andrew has always had a passion for growing beautiful trees. He has worked toward improving growing techniques to ensure that the trees are the best they can be for our customers. Within this time, he has developed a particular affinity for the Norway Spruce variety. Norway Spruce is the traditional variety of Christmas Tree which the older generations will all recall from their childhood. The variety lost popularity with the introduction of the European variety Nordman Fir which could hold its needles much longer. Despite this, the Norway Spruce is still an excellent choice for an outdoor tree or a tree to be taken indoors a few days before Christmas. The aroma is the classic Christmas Tree scent and the trees are truly lovely when decorated up. They are also an excellent cost effect option. The increased diversity of the population in the UK has seen the Norway Spruce find new fans particularly with the Eastern European Communities who traditionally take their trees in just before Christmas and we too have had them as our tree of choice at home for the last two years. We love them.